If you are looking for an unforgettable wedding experience full of tradition and cosmopolitan allure, then San Sebastian just may be the place for you. 20Eventos will make your dreams and ideas come to life. 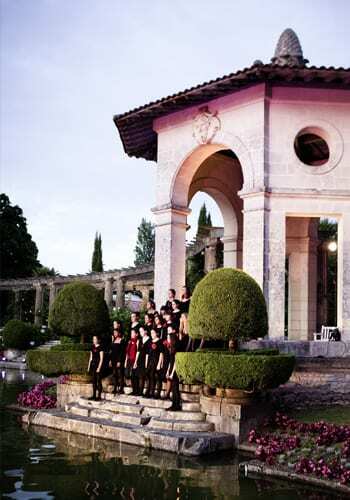 We have the experience and expertise to create a truly memorable event for you. Having big experience on planning destination wedding for couples from different countries like US, Australia, UK, Ireland, Sweden, Japan, China, Lebanon, etc. We are big knowledge of the best wedding vendors and locations on the Basque Country. we will work side by side for an outstanding result. Choose the package that suits best for you. 20eventos Wedding Planners offers full service wedding planning and design, assisting brides with all aspects of planning throughout the first stage. From finding a venue, to designing the event, to executing the complete wedding day, Leire Ibañez and her experienced team will guide clients through the planning process with the highest level of personalized service. 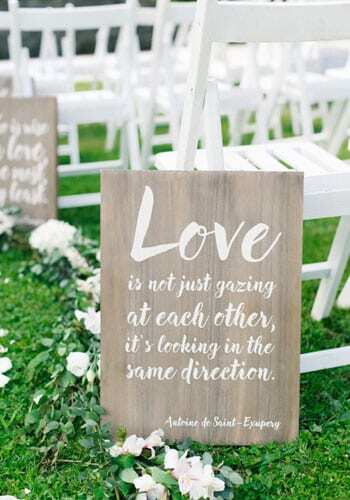 20eventos Wedding Planners thrives on creating and producing multi-day wedding weekend experiences, from welcome parties, to rehearsal dinners to farewell brunches. We also specialize in custom activities and excursions throughout the wedding weekend, where guests can enjoy a variety of local experiences like wine tasting, pintxos tour, boat tours, surfing, hiking and much more things. Today, many couples are choosing to have an intimate ceremony. An elopement allows you to combine a small wedding with a honeymoon. 20eventos Wedding Planners can arrange your ceremony with a celebrant or a minister depending your wishes. With the same commitment to service and attention to detail, 20eventos Wedding Planners loves helping clients celebrate the milestone events in their lives, such as significant anniversaries, surprise birthday parties, special holiday celebrations, and more. ask for an skype session and tell me your situation. SHALL WE BUILD YOUR MAGIC MOMENT UP? What can I say but simply, Leire and the entire 20 Eventos team pulled off my absolute dream wedding weekend in San Sebastian! From the moment I contacted her for an initial web consultation, to the final seconds before I walked down the aisle, had my first dance and after all the festivities, Leire was by my side executing my vision and ensuring a truly beautiful and memorable wedding experience. Having a destination wedding is never easy, but 20 Eventos was organized and kept me abreast of all the details that needed to be finalized. I gave them a rough draft of exactly how I envisioned the flowers and the venues would look like, and they responded quickly with mood and vision boards that exceeded my own imagination. When I myself was busy with moving from the US to Europe, Leire kept prodding me to stay on track of the timeline even when I could not keep up. Leire is truly gifted in her craft, and her chosen profession can be considered more of a calling; of creating beautiful, heartfelt moments of celebration that cannot be fully captured in photos alone. I am grateful for her professionalism, guidance, PATIENCE (hah!) and creativity. And I am even more lucky to be able to call her a friend after a wonderful experience with her. 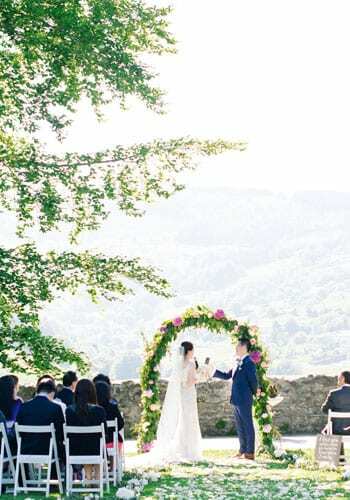 I cannot recommend Leire and 20 Eventos enough to anyone looking to celebrate their wedding in a destination as culturally rich, gastronomically satisfying and visually stunning location as the Basque region. You will have your dream wedding crafted by the finest team! To #JeanGetsRohitched memories and beyond! Hiring Leire as a day-of coordinator was absolutely one of the best decisions we made for our wedding in San Sebastian with 90 guests. Thank you for EVERYTHING you did for our wedding! Everyone had the absolute best time because of Leire. But what’s really important is that Franics and I had the best day of our lives (no joke!)! It was so full of magic, romance, excitement, love, fun, family, friends, great food, great drinks, and wonderful service... I could seriously go on, and on, and on. From our first video chat, I just knew it would be okay to put all our trust into Leire and her team. The ceremony was absolutely breathtaking. It was what we pictured for our outdoor wedding theme, and Leire nailed it. Thank you so much for understanding us so well. And then the reception... ohhhh, how I have never had so much fun in my life! It really was EVERYTHING we could have hoped for and the views! All of the vendors Leire helped us select to work with were phenomenal for our wedding day. The table centerpieces were GORGEOUS! You made the whole process so easy and I really didn't have much stress at all for the day. I am thankful for you, your talent, and your team. Our wedding in San Sebastián was absolutely perfect! 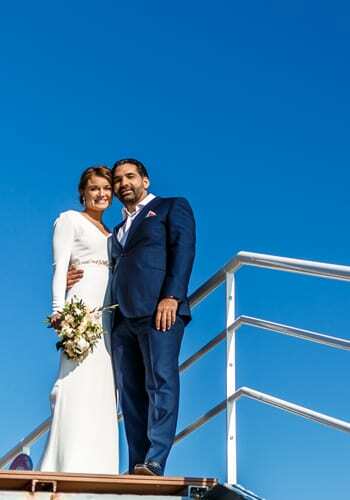 With the help of Leire and team, we celebrated our marriage with our friends and family in our favorite place in the world with every detail taken care of from booking the church and priest, to the reception venue and flowers. Leire gave us her honest opinion in the planning process and soothed any worries that arose from planning an abroad wedding. Following the wedding, Leire even went out of her way to help us obtain our marriage certificate from Spain and mailed it directly to us in the USA. Our wedding was the best day of our lives thanks to this team and we could not recommend them more to anyone who is interested in being married in San Sebastián.